The fire started on the 10th and 11th floor in 21-floor Kadam Chawl SRA building on Vira Desai road around 8:30 pm, officials said. The fire brigade personnel were able to rescue three people. 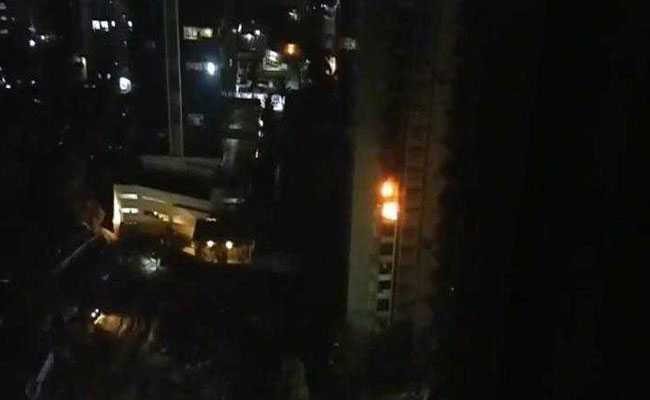 Two people were charred to death and one injured after a fire broke out at a residential high-rise building in Mumbai's suburban Andheri (West) on Tuesday evening. The fire started on the 10th and 11th floor in 21-floor Kadam Chawl SRA building on Vira Desai road around 8:30 pm, officials said. Five fire engines were rushed to the spot. "The fire has now been confined to electrical wiring, household articles, furniture in a flat on the 10th floor and in some portion of a flat on the 11th floor," a fire official said. The fire brigade personnel were able to rescue three people. The injured have been taken to a hospital.